When I was a boy, one of my family’s friends was a Secret Service agent. I thought Alf Oftedahl was “really something.” After my father died when I was eleven, I grew close to him. A farm boy reared in Minnesota, he was full of pithy homilies which were in many ways an introduction to the world beyond my home. One of his favorites was: “By the time you die, you’ll have eaten a peck of dirt.” A peck is a quarter of a bushel which is a lot of dirt. However, since this is not a sermon, we’ll focus on eating dirt. If we’re going to down a peck dirt in our lifetime, we’d better make sure it’s the best gourmet dirt possible. This means using a lot of organic material like compost and animal manure. In this case only vintage animal manure will do. As Orson Welles once said of Paul Masson wines, use no manure “before it’s time,” which means at least six months of curing before being turned into the soil. One of the reasons for vintage manure is to leach some of the nitrogen and salt which comes from urine. 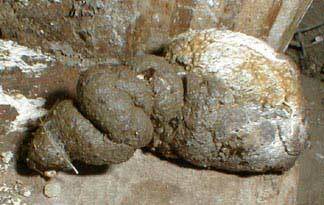 As with human beings, horses, cattle, and chickens defecate in the same place they urinate. Too much nitrogen and salt can be seen in those yellow spots on the lawn after the letting out the dog. 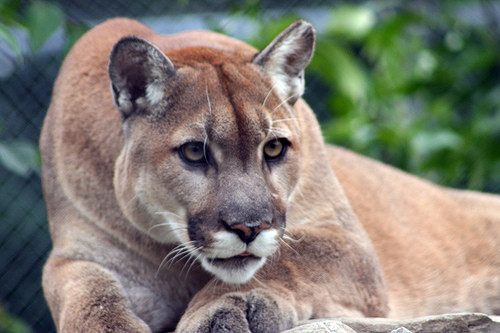 Also, manure from meat eating animals, such as human beings, dogs, cats, cougars, bobcats, and coyotes should be avoided because the feces of meat eating animals often carry parasites and disease organisms. Eating a carrot freshly pulled from the ground is a more rewarding experience if it’s not transporting pathogens. A similar problem arises from using systemic pesticides which poison the fruit of the tree, bush, or vine. Generally, there are three types of gardening manure, horse, cattle, and chicken. Chicken manure is potent and should be allowed to cure longer than horse and cattle manure because it contains ammonia, a poison. It also stinks because of the ammonia. However, once cured it’s a marvelous fertilizer so it’s wise to cozy up to any friends that might raise chickens. Being nice to horse people also works because equine feces contain lots of plant material, such as hay and straw. Perhaps, the most effective use of animal manure is to compost it because in compost its strong urine component serves to foster the decomposition of the other material. A friend in Camp Verde often urinated in his compost bin until his neighbors complained which is unfortunate because human urine is very effective in compost. 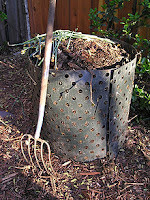 The ratio of carbon to nitrogen material in a compost bin should be about 3 to 1 shovelfuls of carbon to nitrogen. Too much nitrogen yields a putrid compost bin. Too much carbon means that nothing happens. Coffee grounds and tea leaves are high in nitrogen. Coffee grounds can be picked from any of the coffee houses in town. Carbon material can include kitchen scraps excluding meat and oil, clippings from the yard excluding woody material, beer mash, and leaves. In addition to carbon and nitrogen, a compost bin needs oxygen which requires a pitchfork to turn the material regularly. With the right ratio of carbon to nitrogen material and a steady supply of oxygen, the compost pile will “cook” at a temperate uncomfortable to the touch. The next step is turning the compost or manure into the dirt. In Flagstaff our dirt is usually clay or volcanic cinders. The trick is to combine the water holding qualities of the clay and the friable qualities of the cinders. If the dirt is more congenial, so much the better. In any case, dirt transformed into soil with manure or compost, makes a fine dish for Alf Oftedahl’s gustatory peck of dirt, high in fiber. Dr. Smith edits GARDENING ETCETERA for the Arizona Daily Sun in which this article arrived on 3/17/2012. His email address is stpauls@npgcable.com.